Labadie Collection. University of Michigan. The right to free speech is one of the most fundamental American guarantees, ratified as part of the Bill of Rights in 1791. Yet defining the limits of free speech has never been easy — in Emma Goldman's time and today. From 1907 to 1916, the Industrial Workers of the World (I.W.W. ), an aggressive workers' union, carried out more than thirty free-speech demonstrations in the U.S. "The struggle for free speech often turned into a concerted battle," wrote historian Christine Stansell, "when towns and cities... passed laws to limit or ban open-air speechifying." Socialist and anarchist speakers provoked local law enforcement officials with their inflammatory, pro-union, anti-capitalist speeches. Much of this I.W.W. activity took place in the West. In Missoula, Montana, workers were called to action: "Foot loose rebels, come at once to defend the Bill of Rights." In Spokane, Washington, the Industrial Worker sent a similar message: "Wanted -- Men to Fill the Jails." In Fresno, California, the Wobblies sang in jail. When they refused to stop, jailors turned fire hoses on the prisoners. "The men used their mattresses as shields," wrote historian Joyce Kornbluh, "and quiet was only restored when the icy water reached knee-high in the cells." To the I.W.W., the free-speech fights were an organizing tactic, a means of educating workers, and a strategy for drumming up support for the "One Big Union" the I.W.W. sought to create. They spoke about bosses, about corruption, about exploitation. 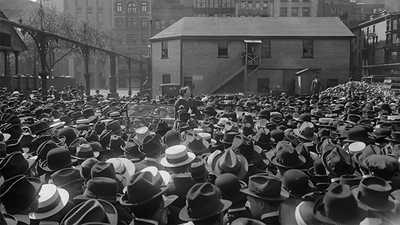 To Americans who opposed unions, the Wobblies' speeches were intolerably provocative. "Their soapbox speeches sounded seditious, unpatriotic, immoral, and threatening," writes Kornbluh. 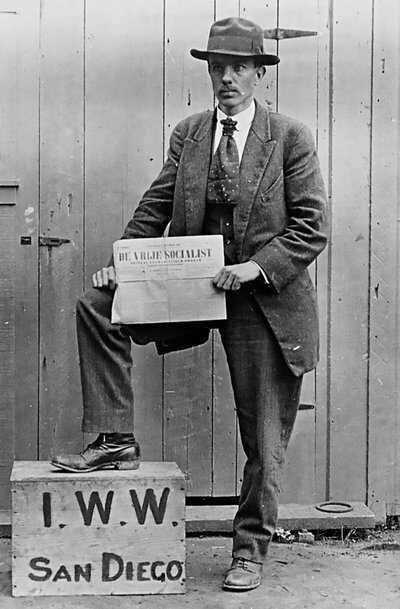 The Wobblies made the free-speech fights an ongoing campaign. "As the jails filled, the call would go out for more workers to come to the city and join the fight," commented historian Stephen Cole. "Their struggle reminds us that it's one thing to have the right of free speech, but it's quite another thing to be able to exercise that right." Those who wished to quiet the I.W.W. had to reconcile those wishes with the Bill of Rights. "These battles -- battles waged by the powerless, and often the most despised members of society -- breathed life into the First Amendment, and forced political elites at the local and national level onto the defensive," commented historian Oz Frankel. "What does free speech mean? Under what circumstances can it be tolerated? To whom is speech directed? In what voice? These are questions born in the fire of the late nineteenth and early twentieth centuries, yet questions that still trouble the present with scorching intensity." In 1912 the I.W.W. took their fight to San Diego, California. Confrontations with the conservative city administration escalated into a series of riots and arrests. The city passed an ordinance closing off an area in the central business district that had long been used by soapbox orators. Members of the Free Speech League, led by the Wobblies, challenged the ordinance, using tactics of civil disobedience. Police and city officials responded with brutality. Hundreds of demonstrators were clubbed, beaten and jailed. "Hanging is none too good for them. They would be much better dead, for they are absolutely useless in the human economy; they are the waste material of creation and should be drained off into the sewer of oblivion there to rot in cold obstruction like any other excrement." 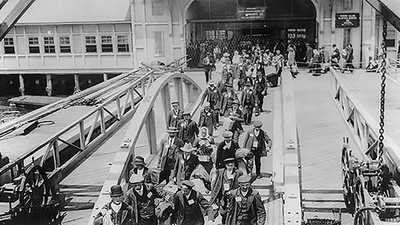 On May 14, 1912, Emma Goldman and Ben Reitman arrived in San Diego to speak in support of the Wobblies. They stepped into the middle of a virtual civil war. Jeered by a hostile mob at the train station -- "We will strip her naked; we will tear out her guts," cried the ringleaders -- the two barely made it to their hotel. Once there, Goldman was summoned to meet with the chief of police to discuss arrangements they had made for her protection if she would agree to leave town. Reitman waited for her alone in their room. Then came a knock on the door. He was surrounded by seven men: vigilantes. They hustled him out into the street, past a uniformed policeman, and threw him into an automobile. A line of sedans proceeded down a gravel road, away from the city lights. "I was in an automobile with six men and a chauffeur, and as soon as we were out of the business district, these Christian gentlemen started cursing and beating me," wrote Ben Reitman in his memoirs. "My long hair was a favorite spot for attack. They took turns pulling it. These Christian patriots subjected me to every cruel, diabolical, malicious torture that a God-fearing respectable businessman is capable of conceiving. 'You won't kiss the American Flag, eh? By God, we'll make you; we'll ram it down your throat. Sing "The Star Spangled Banner." With feeling.'" 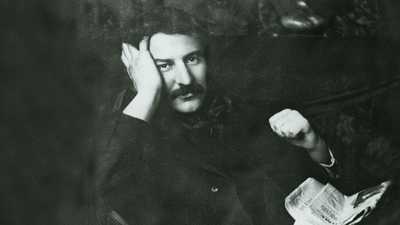 Reitman's ordeal was just beginning. When the convoy reached the county line, near the town of Escondido, they drove to a deserted spot and shone their headlights on a dusty patch of road. Reitman was forced out of the car. "Then these fourteen brave defenders of their country formed a ring around me and commanded me to undress. They tore my clothes from me and in a minute I stood before them naked. When I lay naked on the ground, my tormentors kicked and beat me until I was almost insensible. With a lighted cigar they burned I.W.W. on my buttocks, then poured a can of tar over my head and body, and in the absence of feathers, rubbed sage brush on [me]. When these businessmen tired of their fun, they gave me my underwear for fear I should meet some woman... and my vest, in order that I might carry my money, railroad ticket and watch. The rest of my clothes they stole from me in highway fashion." Ben Reitman's experience was not unique. Many I.W.W. members also suffered the indignity of being kidnapped, beaten, and humiliated by vigilantes, private citizens and police. The publicity stirred up by the San Diego events led to a special investigation by the State of California, yet with official sympathies on the side of the vigilantes, no action was taken. "Such repeated violations of basic constitutional rights," wrote novelist Peter Glassgold, "helped galvanize a vigorous free speech movement that, in the course of time, led to the founding of the American Civil Liberties Union." Its founder, Roger Baldwin, always credited Goldman with inspiring him in his First Amendment work. Today, Americans still disagree about how to define free speech, and who should be allowed to exercise the right. The A.C.L.U. is kept busy in courts, legislatures and communities across the nation, defending and preserving the individual rights and liberties guaranteed to all Americans by the Constitution and laws of the United States. Emma Goldman's evolved from a Russian émigré to anarchist firebrand. Explore her legacy.